Last week your blogger had the opportunity to visit Bay Ridge Prep, a unique learning environment in Bay Ridge, Brooklyn, and to speak with Wendy Freeburn, the Admissions Coordinator, and with Dr. Charles Fasano, the Head of the Lower School. 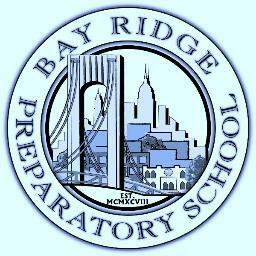 Bay Ridge Prep is an independent, college preparatory school founded in 1998, serving approximately 400 students in grades K-12. The Lower School (through Grade 8) is located in a spacious former parochial school and the high school is in a newer location several blocks away. Both programs were founded by psychologists, who brought an awareness of individual learning styles and differentiated instruction to the school they created. The result is an unusual integration of academic challenge with support for those who learn differently. We were particularly interested in learning about two programs at Bay Ridge Prep that were created for students with learning and related difficulties. The Achieve Program is designed for students who need academic support in areas such as organization, reading, and writing, and provides such support -- along with academic accommodations such as extended time on tests -- through a combination of small group work and regular support in the mainstream classroom. The Bridge Program, available at the middle and high school levels for students with more significant learning challenges, has separate classes within the setting of this mainstream school. Both programs will implement IEP's for students who have been classified as needing special education services by the New York City Department of Education. As we toured the school and had the chance to visit classrooms, it was clear that this is a school where creativity, the arts, and hands-on learning experiences enrich the learning environment. Sports are an important part of the school culture and the school sponsors interscholastic teams in most major sports. We have visited many schools throughout the Metropolitan area, but the mix of academic challenge, support for those who learn differently, creative learning, and a wide range of student activities make Bay Ridge Prep something special indeed.